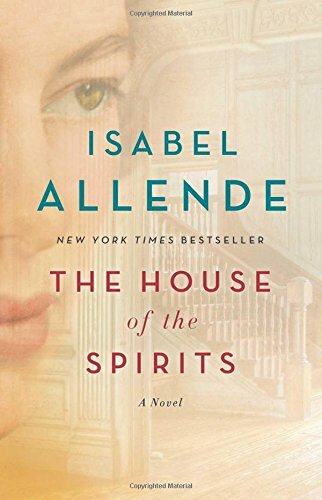 The House of the Spirits, the unforgettable first novel that established Isabel Allende as one of the worldâs most gifted storytellers, brings to life the triumphs and tragedies of three generations of the Trueba family. The patriarch Esteban is a volatile, proud man whose voracious pursuit of political power is tempered only by his love for his delicate wife Clara, a woman with a mystical connection to the spirit world. When their daughter Blanca embarks on a forbidden love affair in defiance of her implacable father, the result is an unexpected gift to Esteban: his adored granddaughter Alba, a beautiful and strong-willed child who will lead her family and her country into a revolutionary future. About: NEW YORK TIMES BESTSELLERIn one of the most important and beloved Latin American works of the twentieth century, Isabel Allende weaves a luminous tapestry of three generations of the Trueba family, revealing both triumphs and tragedies. About: Traces the lives of the Truebas family, starting with clairvoyant Clara de Valle's summoning of the man she intends to marry, ambitious Esteban Trueba, and following their lives through which they suffer and triumph.